Another enterprise with humble beginnings, Kee Wah Bakery is now a household name in Hong Kong, the Chinese Mainland and Taiwan. It has presence in Northern America and Japan as well. They’ve been specializing in teacakes and pastries since 1938 and what I like about them is not only have they grown in size but they’ve also adapted to the times in terms of store and product aesthetics. Given that they’ve maintained the quality of its products, they also come up with new and improved items every so often. Proof of this is the dizzying array of cakes and pastries in every store; literally hundreds of varieties to choose from. A winner are the bean cakes. I know, I know, you’re thinking hopia, but these are different. 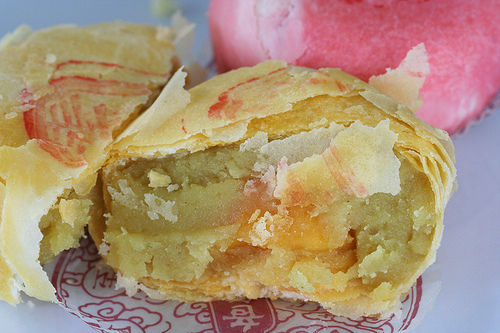 Super flaky and soft, you can leave dimples on them just by touching them. This particular one I got had Chinese ham infused with the sweet bean mixture and embedded inside was a whole salted duck egg yolk. Very Decadent. One sure pick would be their famous pineapple shortcakes. As you take them out of the package the sweet sticky fruit smell immediately hits the nose. The crumbly, buttery crust almost disintegrates instantly (mostly on my shirt though) when bitten into. I was never really into pineapple cakes in general, but I guess that was before I actually ever tasted these. Some variants come with nuts mixed in the filling. 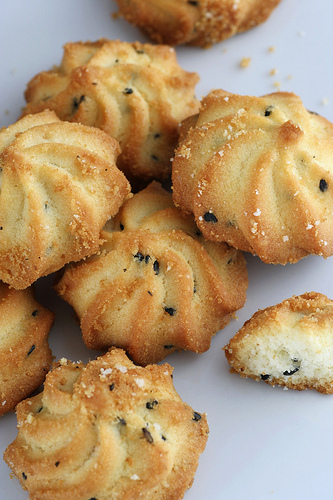 I forget what these cookies are called but I’m sure they’re made with egg whites, black sesame seeds and tons of butter. It provides a hard crunch similar to a biscotti and I can imagine it goes really well with a cup of tea. Does anyone know what it’s called? Please help me sleep. If you step in a Kee Wah store and can’t make up your mind what to get, try their assortment packs that come in sleek colored tins and some in handsome gift boxes. 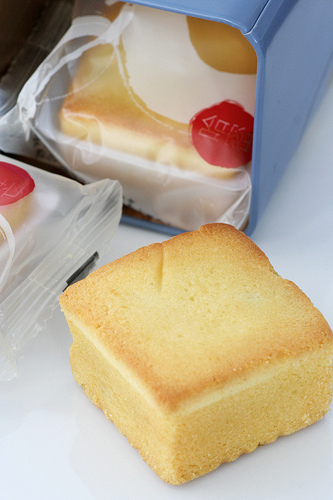 Individually wrapped biscuits and other treats are also cleverly packaged along with loose tea leaves. I definitely wouldn’t mind getting one of these as a present. And most definitely a great pasalubong alternative to the champoy. Boon Tong Kee in Manila!